There are many ways of reaching the client. Unique products, a catchy advertising slogan or attractive prices would surely help you in customers finding, but do not forget about the internet power. Companies websites and social profiles are something obvious nowadays and you need to use something more – for example international and local directories online database. It is a special list of companies which can be split by the activities, particular location or size. It sounds similar to the telephone book, isn’t it? But online databases are something better. You can add more information about your business and in some directories, there is even a possibility to leave the comment and feedback, which might encourage other clients to use your services. 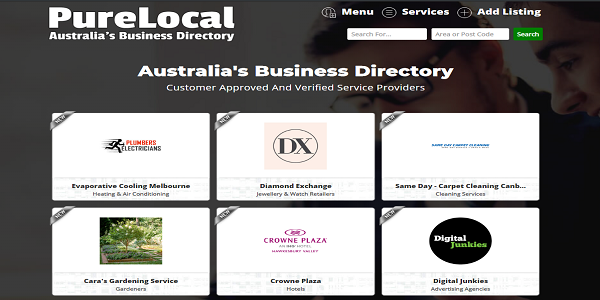 In this article, we would pay your attention to a specific database of the country notorious for kangaroos and lamingtons cakes – let’s look at the lines below and find out the ranking of top Australian business directory database. Small business directory – what should you focus on? 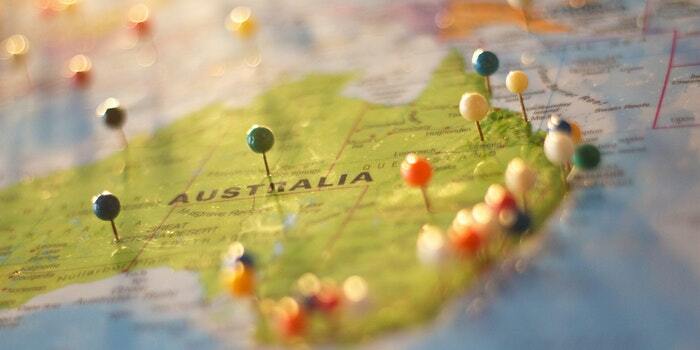 If you are looking for international service with a huge base of companies all over the world (including Australian ones naturally), then you should check one of the best online directories – Datantify. This is a place with up-to-date information about businesses and categorizes companies by location and industries, which number exceeds over 4193 lines of business. The service has joined over 2 million business owners already and it concentrates on four main localizations: Canada, The United Kingdom, The United States of America, and Australia of course. 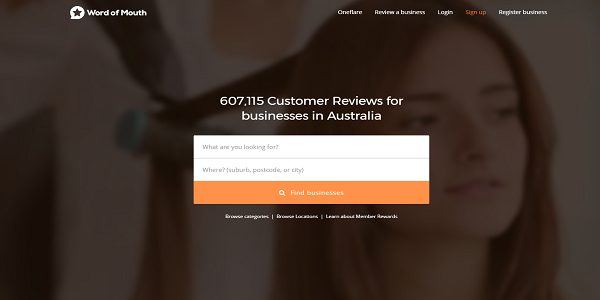 In presented Australian business directory list the users can leave reviews (which are not anonymous) and if you do not like the opinion of the customer, you may easily delete it. True Local has been functioning on the market since 2006. It is easy to find your company due to this portal cause categorizing entities by location and relevance and there is even a possibility to use local directories app. Information about businesses on True Local comes from business owners, but also from third parties – it exposes the honesty of the platform. On the list of directories of Australia, there is a website which takes leading position in Search Engine Marketing solutions. Local Search operates in many services including Web Hosting, Search Engine Optimisation, Bookings, Social Media Marketing, Websites or Email Marketing. In addition, it offers Customer Relationship Manager tool which helps you with organizing the customers’ names, histories of transactions and bookings, that you would save your time surely. It was formed in 2005 and currently, it operates in 38 countries with over 120 million businesses. 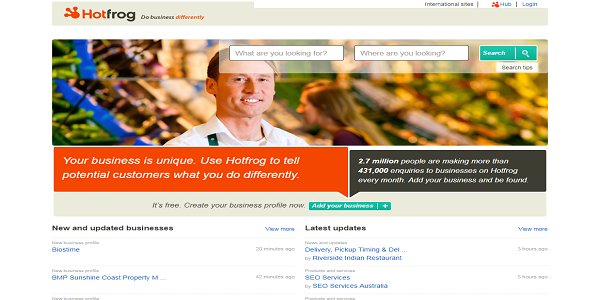 As a small business directory, Hotfrog helps you with getting a higher position in online search results and thanks to advanced tools you are able to point what is different in your products and services, create special coupons or add images. 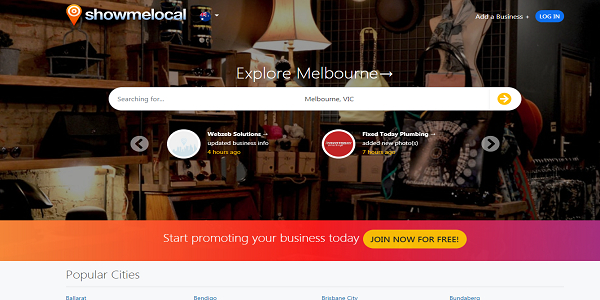 Another example of business listing in Australia is Pure Local. 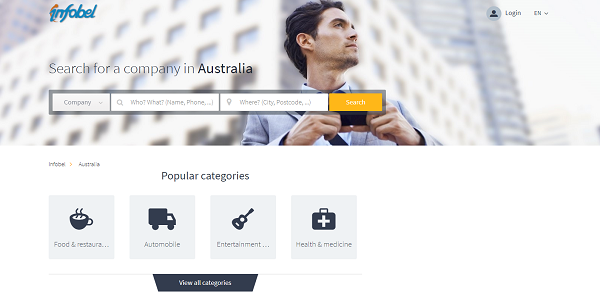 There are plenty of business categories where your company can be listed under. It is a good solution both for small and big entities. There is a complete list with all its descriptions, addresses, website links and so on. What is more, you can also use options for promoting on social media and blogs. can manage the necessary operations – from the bannering and B2B targeting to company web signals and analysis of profile. 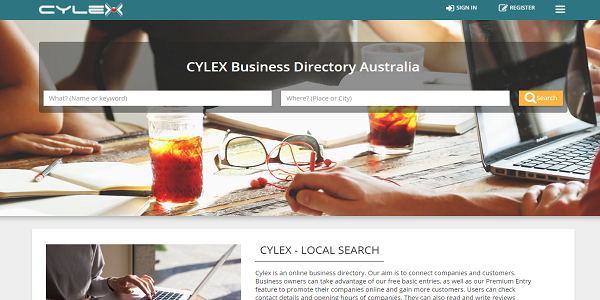 Enroll Business – Australian business directory free, where your business has a chance to find customers all over the world. What is interesting, if you want to be on the Enroll Business list, you do not have to create your own website. There is also an option to use special promotion function, which is for paid – about $49 USD per year. 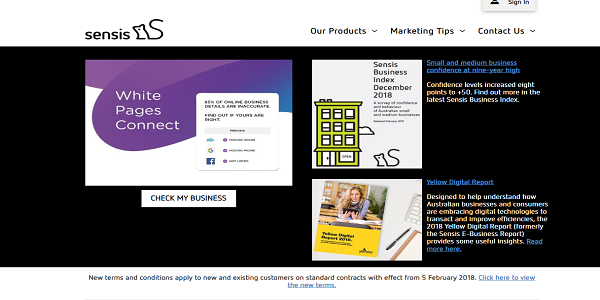 Sensis group offers many propositions for leading digital businesses – optimization services, website products, social media operations or mapping solutions. 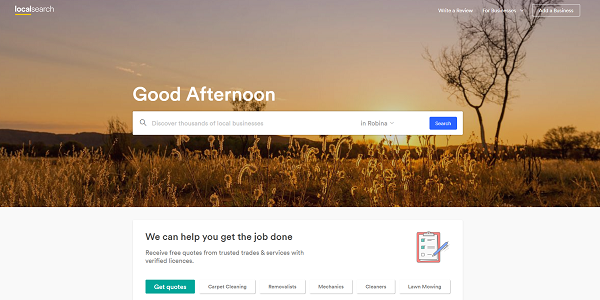 This Australia online business directory supports its users with online advice, masterclasses, phone guidance, and even face-to-face visits. 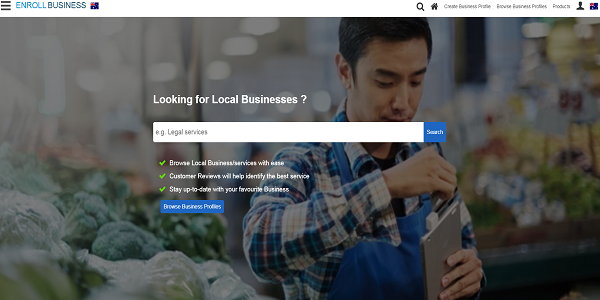 One of the best online directories which display all needed information about business (Google maps, opening hours, menus, catalogs of products and services) that lets you come closer to customers. Listings are free of charge and in the case of any problem, you can ask for help over 250 specialists from various domains. 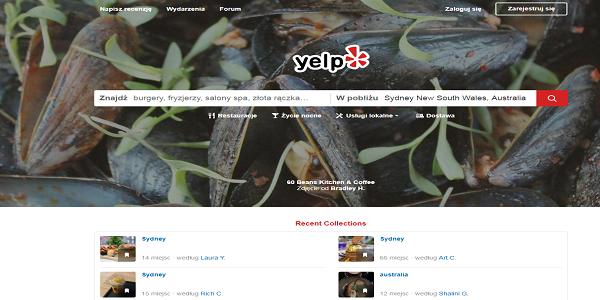 Founded in 2004 with 177 million written reviews Australian local business directory Yelp has a monthly average of 33 million unique visitors who are founded in Yelp by using the application. Registering an account is free and you can use it for posting photos and messages exchanging with your customers. The service determines itself as free, friendly and local directories online. 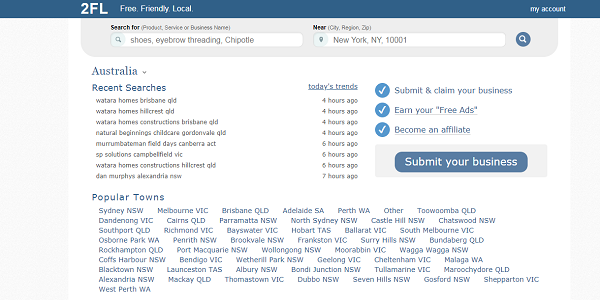 For comprehensive profile and improving the ranking on 2find Local, you can use free advertising program called “Free Ads” and write a description of your company, add high-quality photos or point the price list/menu. Looking for service with the best local directories? Check the offer of Word of Mouth group. The platform is marked by its unique way of listing the companies. The ranking is based on the customers’ reviews, and not on the number of money companies pay for. This trust factor surely encourages clients to use Word of Mouth, and in consequence, find your business. 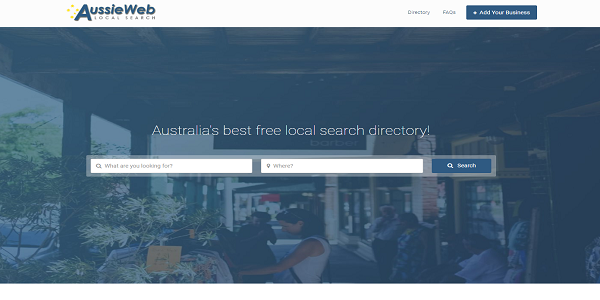 Bloo – Australian business pages directory introduced an array of products such as Map Based Searching, phone applications, free call facility, postcode finder or One Click category search. The information added to profile includes adverts, slideshows, maps, and video. And thanks to Click to Call option, the users can contact with chosen business without any costs. 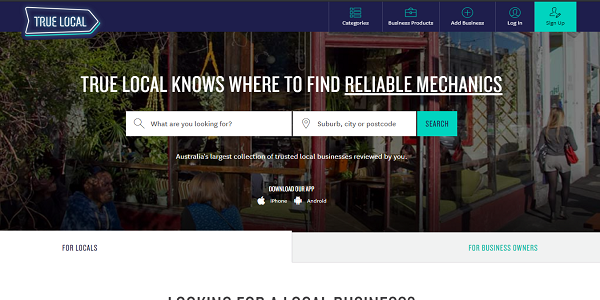 AussieWeb with over 20 years of experience is a local search, where users can find Australian business pages with the basic information about companies. Generally, it is a free platform, but if you want to be on the top of the listing, you have to purchase a special Promoted Listing. The cost of it is about $95 per year. There are many advantages of using business directories. The main purpose is, of course, reaching the customers who would use your services or purchase a product. But if we want to achieve this goal, we need to remember the steps contributing to that. Having a position in the best online directories lets you incur the traffic on your website, get a higher position in search engines rankings or raise awareness about your company in customers’ minds. Do not forget about creating unique descriptions, which would differ your offer from the competition. Add only legal, high-quality photos and keep in mind that most business directories have an option to leave a comment and reviews. Pay your attention if there are only positive ones. In case of getting a negative opinion, try to solve a problem with the user, or find a database service where you are able to delete it easily. 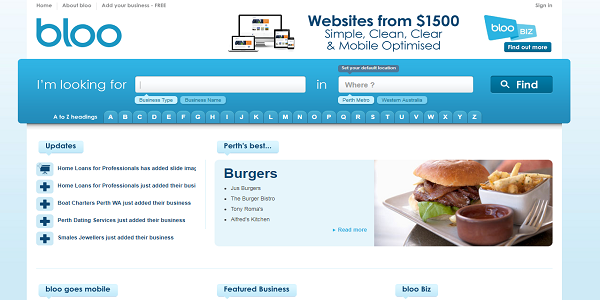 As you can see, there is an array of Australian directories you can choose from. Take a closer look at the mentioned propositions. Choose the best one, and let the clients find you as soon as possible!